Alcatel-Lucent’s PacketStar® PSAX 2300 Multiservice Media Gateway is a leading gateway for carrier-grade networks and deployments. If you need to manage media on a large scale with support to increase traffic and customers, consider the Alcatel-Lucent PSAX 2300 for your next purchase. The Alcatel-Lucent PSAX 2300 provides a comprehensive and redundant operating mode that can keep your network up and running while technicians have time to sort out the problem. 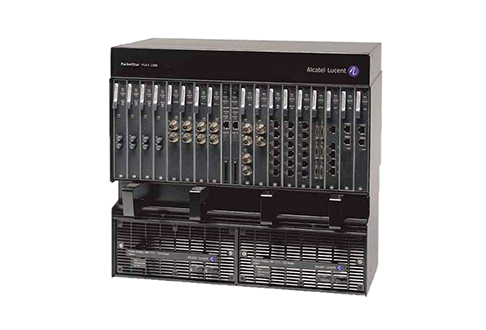 After experiencing a single-point failure, a used Alcatel-Lucent PSAX 2300 from Worldwide Supply will provide you with up to 1.9 Gbps of ATM cell bus capacity. This capacity is scalable to support non-blocking, non-redundant chassis bandwidths that rise above 1.9 Gbps. Choosing Worldwide Supply for your used Alcatel-Lucent PSAX 2300 means you’ll get industry-leading pricing and maintenance quality with a 24/7 support system that can help diagnose, repair and replace problems as soon as they happen. The 2300 series is still going strong in networks across the globe, though some providers have changed their deployments to different media gateways. This means Worldwide Supply has steady access to both new and used Alcatel-Lucent PSAX 2300s that we can make available to you at a variety of prices. When we acquire a used Alcatel-Lucent PSAX 2300, our technicians review it thoroughly for any flaws, defects, damage or parts that need to be repaired or replaced. After a full workup and refurbishing, we test each unit to verify that it meets the demands of real-world scenarios. Our in-house lab and OEM-trained technicians then pass on the refurbished Alcatel-Lucent PSAX 2300s to our sales department, where we make them available to you at up to 80% off original OEM pricing. Acquiring a refurbished model allows your network to grow in a variety of ways, making your budget go further without fear or concern. Every product we sell is backed by a lifetime warranty, allowing you to introduce it to your network and get the quality you expect. Start with a leading new or used Alcatel-Lucent PSAX 2300 to ensure you’re providing carrier-grade quality through your entire network.